I just finished “Genuine Fraud” by E. Lockhart the other night and my first thought was “I’ve read so many books about super mentally messed up people lately”. 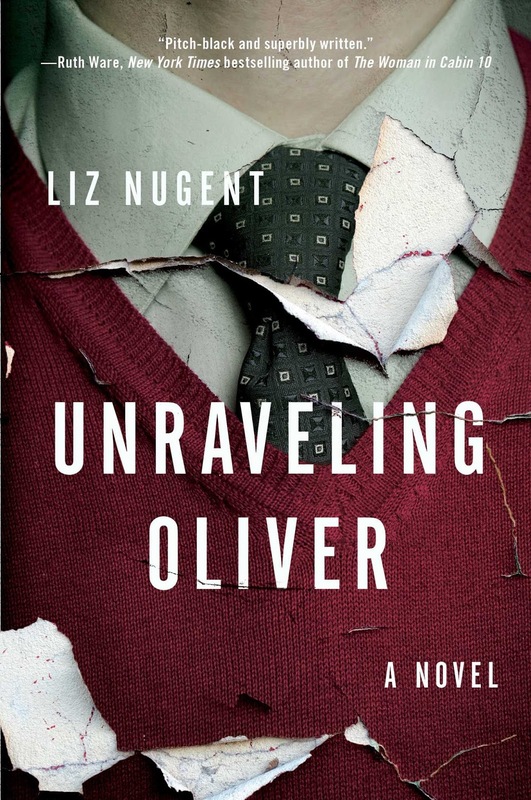 "Unraveling Oliver" certainly was one of them. I have known the first line of this book for a couple months because it’s pretty shocking and it was used in all the book promos and the synopsis. Basically we know straight out the gate that Oliver has seriously hurt his wife. Oliver puts his wife in a coma and the following chapters slowly take us back through time through the eyes of the people in Oliver's life as they relive their memories of him after finding out the news of what he's done. Each chapter switches narrators and, obviously, we eventually turn up at the reason why Oliver hit his wife in the first place. I thought this book was going to be creepy and scary like other thrillers I’ve read this summer, but it wasn’t. This book was written in a way that lent itself to a comfortable reading pace. I don’t know if I’m describing it correctly, but I wasn’t anxiously flipping pages, with my heart racing—but I was interested in the story and the facts. I liked the narrators and their experiences with Oliver both past and present. Did I particularly like the big reveal at the end? I was sort of meh about it. Maybe because I kept holding onto my initial idea of what I thought the book was going to be. However, this book had a level of complexity in the story lines that I really enjoyed. When I finished this story the biggest feeling was heartbreak. I think this would be a good book club book with lots of easy conversation about marriage, upbringing, regrets, and deception. I have a lot of thoughts on Oliver and most are unsympathetic. But I wonder if yours would be different than mine? This one comes out next week here in the US, and if you read it, please do stop by with a DM if you want to discuss!